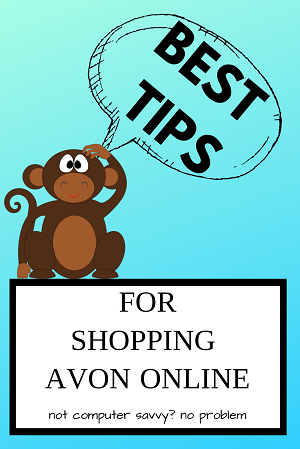 Looking for the easiest way to Shop for Avon? Here are a few tips to get you going in the right direction. The first tip and most important tip for shopping Avon online is to choose an Avon representative. 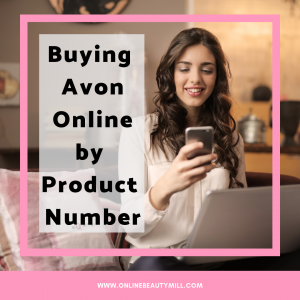 That way if you need help placing your Avon order or need assistance with product recommendations or beauty advice, your virtual Avon Representative is there for you. 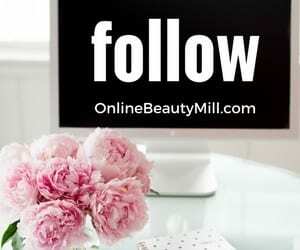 I’d love to become your virtual Avon lady! let me be your avon rep! 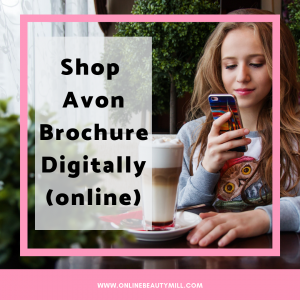 There are multiple ways you can shop for your favorite Avon products – using the digital catalog, product number entry or by category. Got stuck with something? Contact your Avon Representative Monica Naegele. It’s our job to help you. Shop using a coupon code or Avon discount code. 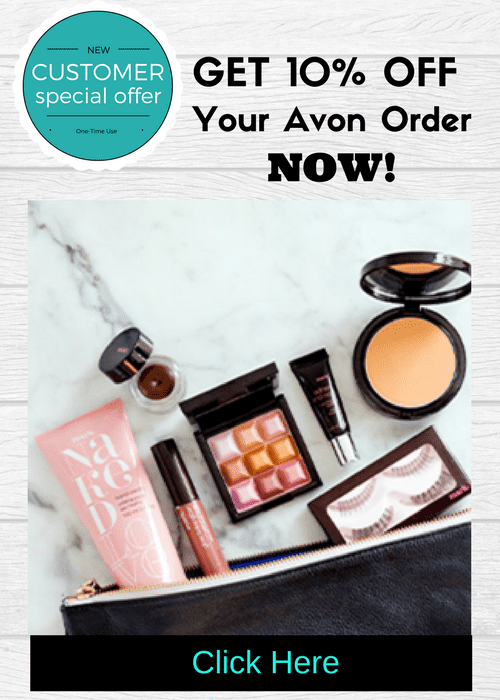 Although Avon’s product prices are economical you can save even more by using a coupon code and combining it with a special offer. Click on the button below to find the Best Avon Online Coupon Codes now. Do you already have a discount code? Activate your discount in your shopping bag by scrolling down the page until you see the coupon code box. Enter the code and click APPLY. If your code has expired it will tell you immediately. 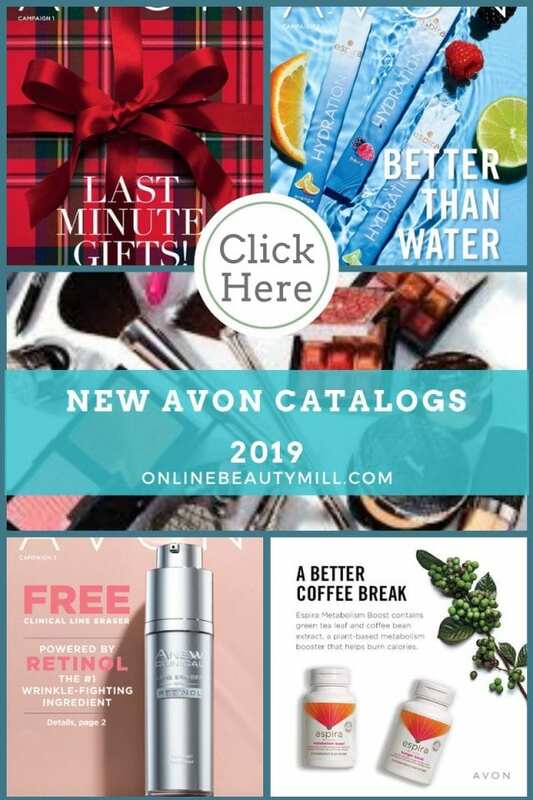 AVON recently released a Referral Program which allows you to give friends Free Shipping on their first order of $25 or more. Plus you will also save. When you make that referral you will get 10% off when they make a purchase. Both of you can benefit! In addition, you will get a discount every time you order Avon just by referring a new friend. The savings are endless! 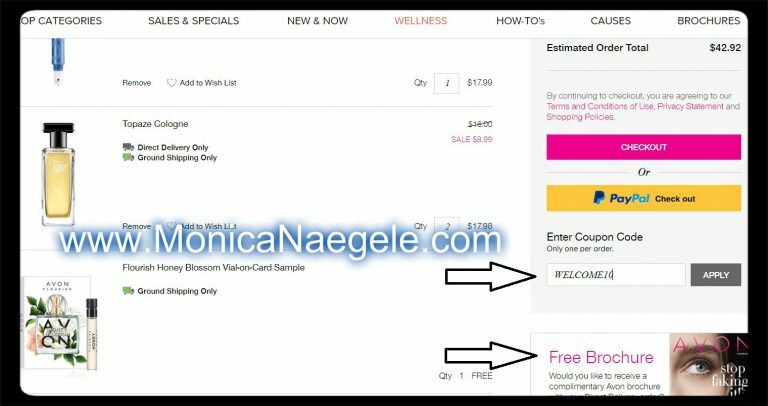 Click the button below to learn more about the Avon Referral program. 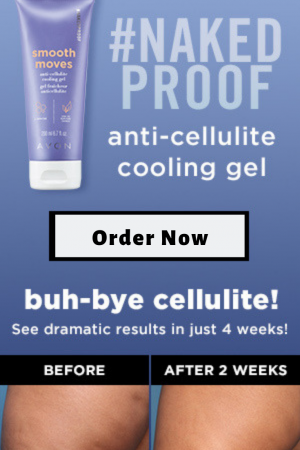 Product didn’t work out? No worries. Due to Avon’s 100% Satisfaction Guarantee, you have up to ninety days to return an item. Have you ever wondered if you could sell Avon? There are many benefits to joining a well established organization. For one, Avon is known worldwide and almost everyone has heard of Avon. 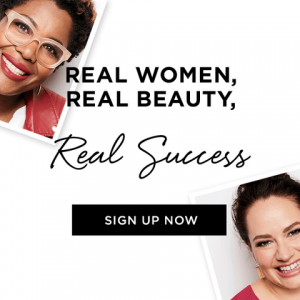 With Avon you can count on getting access to the best business tools, products and a team mentor. I’d love to help you with your Avon journey. Contact me to chat.